For in-store inquiries, use sku #2293386. 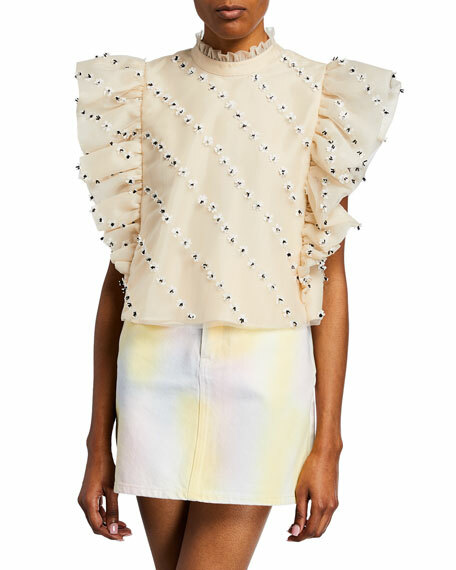 Ganni top with hand-embellished floral appliques & ruffle trim. Crew neckline. Sleeveless. Relaxed, boxy fit. Slightly cropped. Nylon; polyester lining. Polyester lining. Imported. 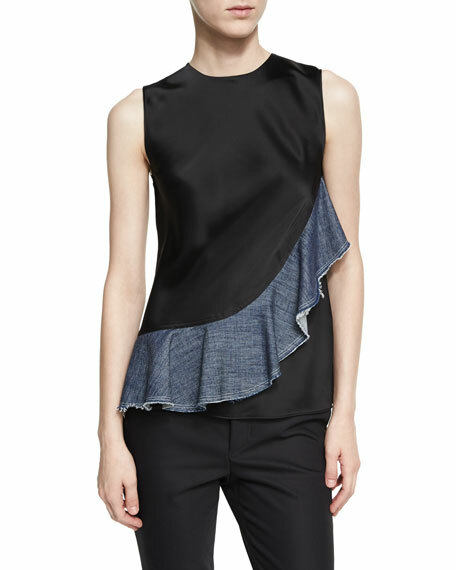 Helmut Lang sateen blouse featuring an asymmetric denim ruffle with raw-edges at front. Jewel neckline. Sleeveless. Button-loop/keyhole at back. Slim silhouette. Slipover style. Even hem. Triacetate/polyester. Imported. 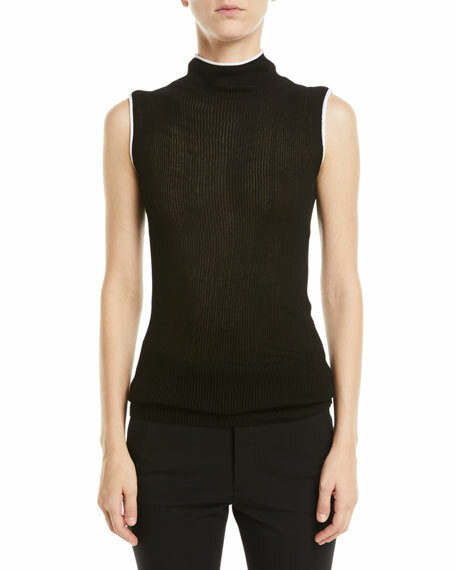 Helmut Lang sheer ribbed knit tank. Contrast tipping at collar and arm openings. Turtleneck. Sleeveless. Cotton. Dry clean. Imported of Italian material.